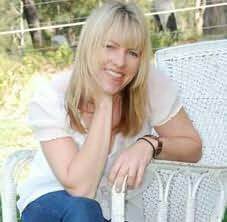 Rachael Treasure is an Australian journalist, sheep dog breeder and trainer, author and bestselling novelist. She resides with her husband and children on a sheep farm at Runnymede near the small Tasmanian farming community of Levendale, where they breed and train kelpies, border collies and waler stock horses.A former jillaroo and reporter for the Australian Broadcasting Corporation on rural affairs, she is a passionate working dog trainer and in 2007 received Tasmania's rural woman of the year award. "Some books, like wine, can be sipped-but I had to gulp down this novel!. It was delicious!."